Tony has many passions when it comes to food, pie making is one of his favourites. Hello and welcome, to another of our home cooking nights. 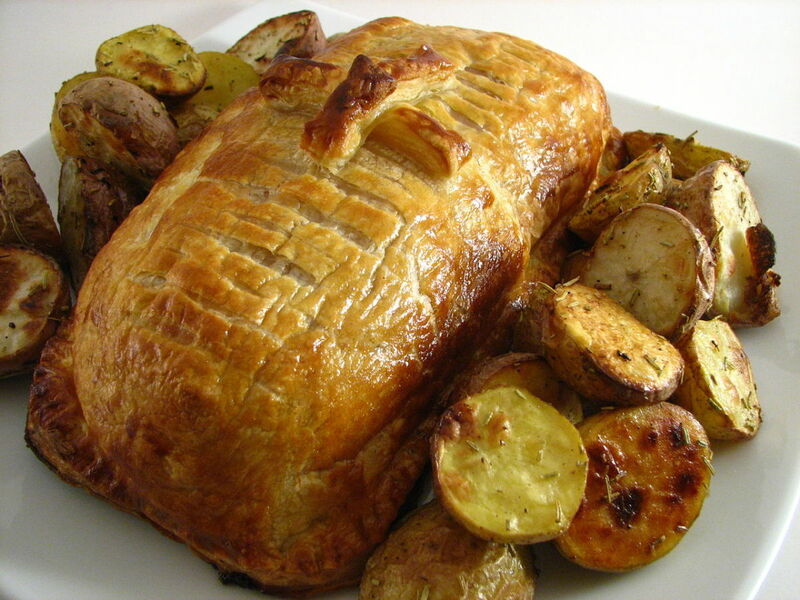 Tonight we are making a variation on beef Wellington using pork fillet instead. 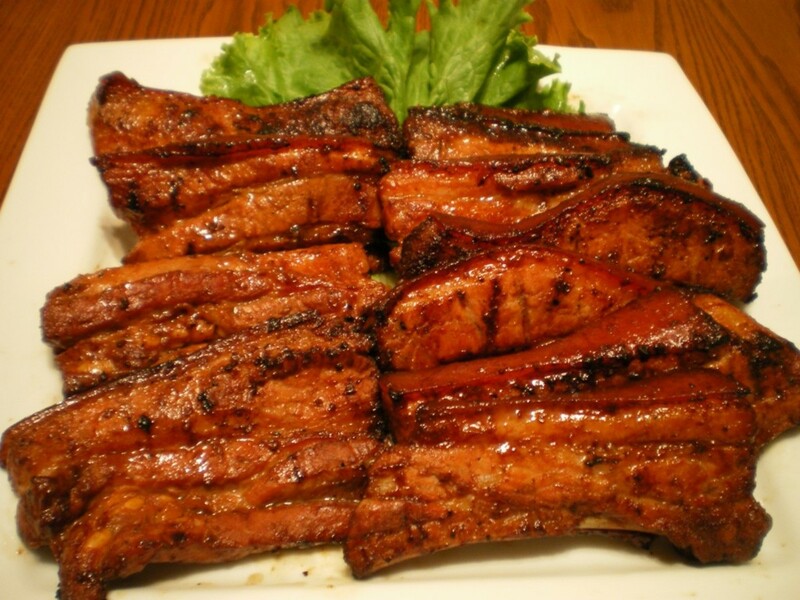 Pork fillet is usually much more affordable than beef fillet. When I say we, of course I mean myself and my friend Fabio who comes over the share cooking adventures with me. 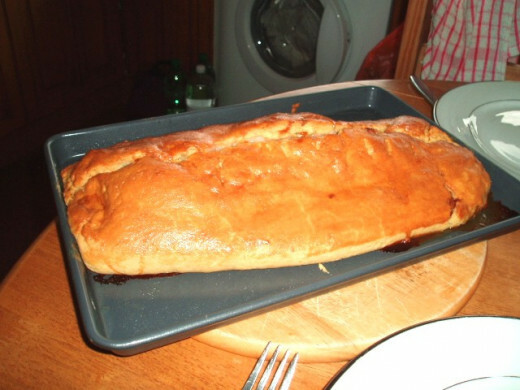 He has just returned from a holiday with his family in Milan and has brought some really interesting new recipe ideas with him. We have just launched a hope about Tuscan bread, which would go very nicely with this meal. 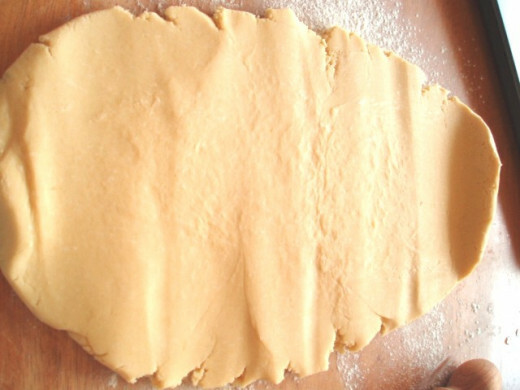 First of all we will need to make some rough puff pastry, you can buy this frozen from the supermarket but I think it is much better to make your own; that way at least you know what is in it. 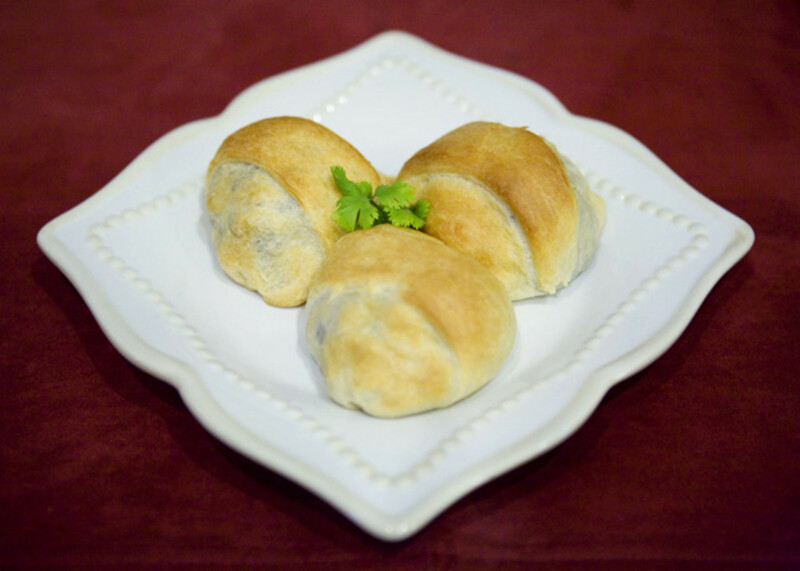 We will also need to make a seasoned blend to cover the meat inside the pastry. 450gm plain, all purpose flour. 250 gms of lard and margarine about half and half. Mix together the flour and salt caught the shortening into cubes and stirred together with a knife do not rub in mix to a stiff dough using a drop of water. The dough then needs to be placed in the fridge for about 30 min to allow it to rest. 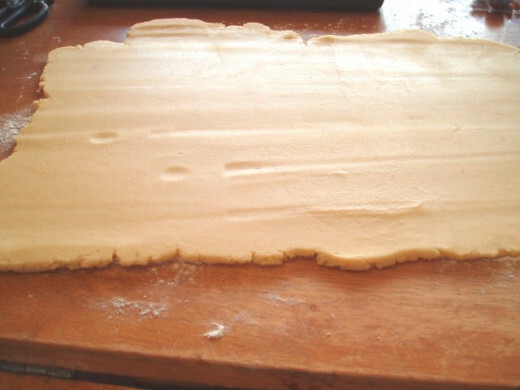 When it is time to roll out the dough place it on a well floured surface and roll it out into a narrow strip. Fold it in three give a quarter turn so that one of the open ends is facing new and then roll out again you need to do this three times. 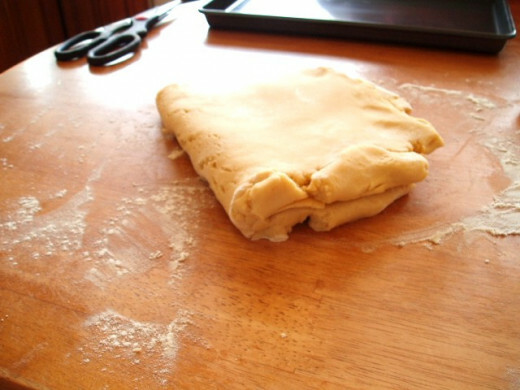 This gives the finished pastry flaky layers, just right for this type of meat pie. Once again leave it to rest about 15 min should be sufficient, in warm weather place the dough into the fridge. 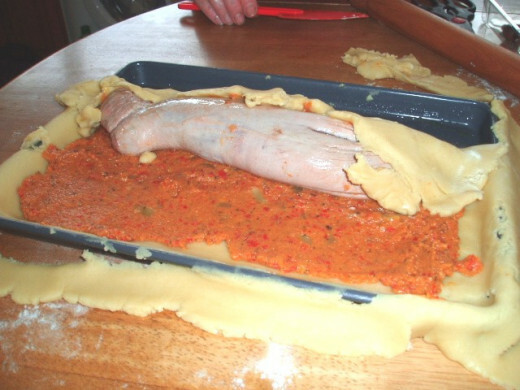 Now we need to make the paste that will sit between the meat and the pastry. 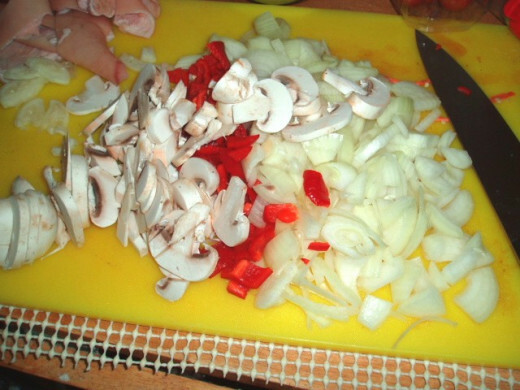 Chop to onions quite finely, chop two cloves of garlic, chopped up about six or eight mushrooms, and a sweet red pepper. I also peeled and cored eating apple and added that to the mix too. 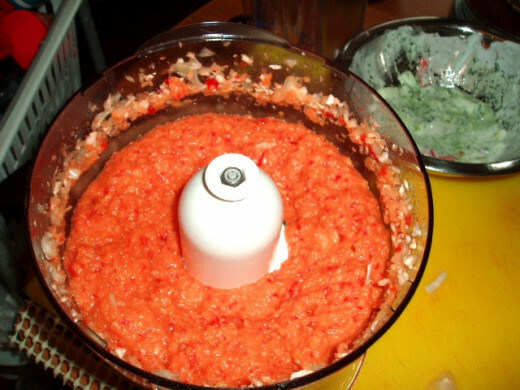 Place all these into the blender and give them a good whizz, but do not puree them. Into this blend add salt, black pepper, Sage (this can be fresh or dried), coriander powder. Roll out your dough , always take care to roll away from you this will help keep the bubbles inside and give you a better pastry. 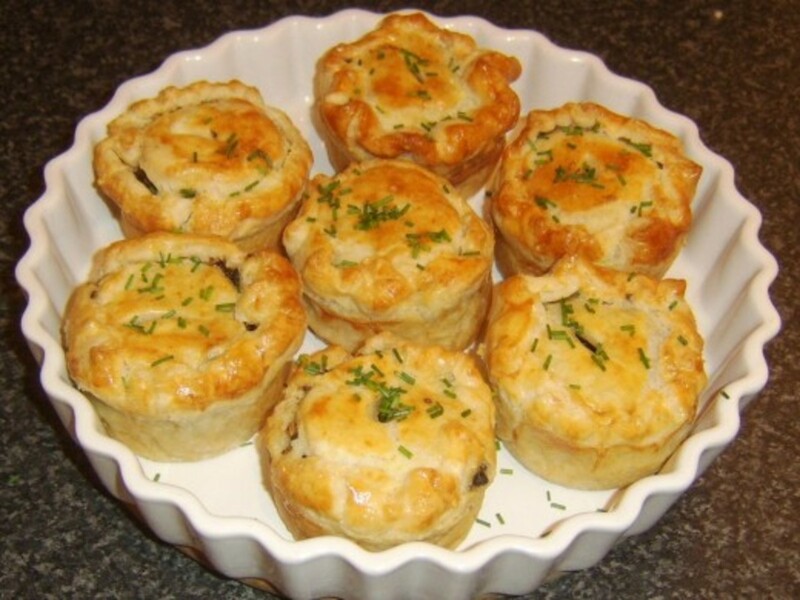 Delicious hot water pastry, an easy recipe for making pork pies. 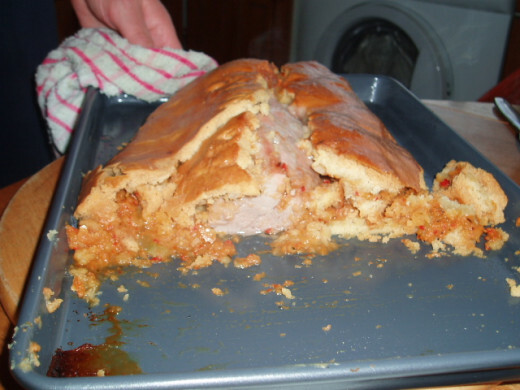 a traditional pie filled with chicken and pork. 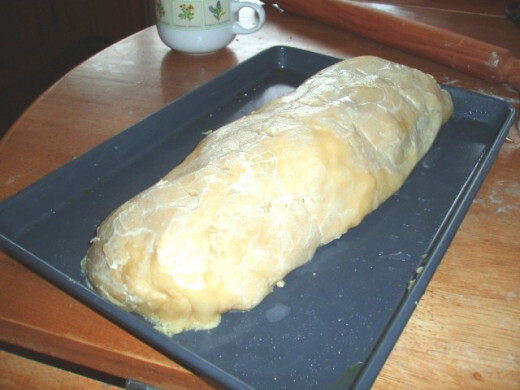 The pastry is a hot water dough. 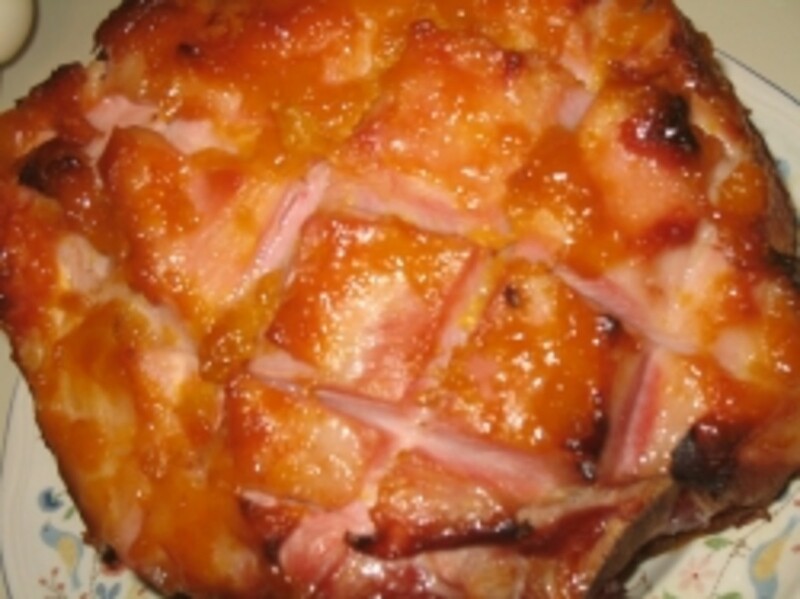 Once rolled out coat with your onion blend, wash and dry your pork and then lay it on top in the middle. Now all you need to do is roll the whole package up like a Swiss roll, are simply bring the sides in and make a seam down the middle as I have done in the photo opposite. 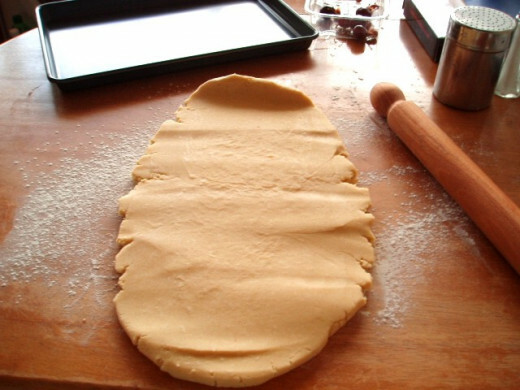 Brush the outside pastry with beaten egg transfer to another and tray and place in the oven at gas Mark eight 230° C, 450° F for about 20 min until the pastry has gone golden brown. Then reduce the heat to gas Mark four 180° C 350° F for another 35 min. What to eat with this dish. It is almost a complete meal, but I like something like potato crochets or fries, pease and corn on the cob, or off the cob. perhaps even boiled potatoes and green vegetables. I usually make a rich thick gravy to pour over the top and cook seasonal vegetables. It takes a little bit of effort, but it is well worth the time and trouble. I think the perfect drink to go with this type of meal is a glass of beer. But a Chardonnay or Merlot wine would be just as good. To be honest I've not tried many Italian beers, but this summer Fabio brought three sorts, Almond num 22, Baladin, and Peroni which I think is very popular beer. Don't tell Fabio, but they should stick to wine, I'd go for a brown ale or bitter. Brussel sprouts, every child's nightmare would be a great veg with this. Tony, What kind of beer do you recommend? 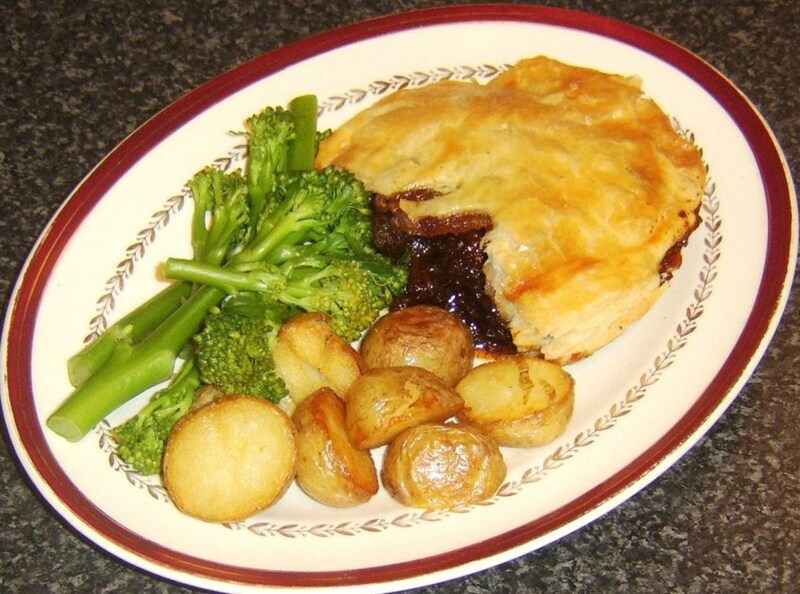 Is there an Italian beer to go with this scrumptious pork fillet pastry and green vegetables? Kash, how are you my friend? Thanks for teh votes and comments, give it a try. Joyce, thanks for votes, comments and dropping by. 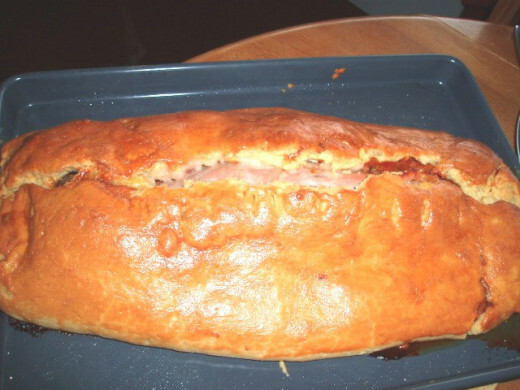 I got my pastry a little short, too much fat, so I've modified it slightly, but it is a really nice food idea, either hot or cold; great for parties. Hi Tony my friend, this sounds like a very interesting recipe, and a very delicious one as well ! This recipe sounds so delicious. I'm going to print it. Thanks so much for putting this one H/P. Voted up, awesome and interesting, Joyce.